The moment you stop to think about whether you love someone, you've already stopped loving that person forever. 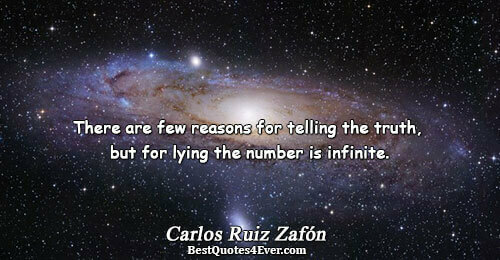 There are few reasons for telling the truth, but for lying the number is infinite. Man...heats up like a lightbulb: red hot in the twinkling of an eye and cold again in a flash. The female, on the other hand...heats up like an iron. Slowly, over a low heat, like tasty stew. But then, once she has heated up, there's no stopping her. 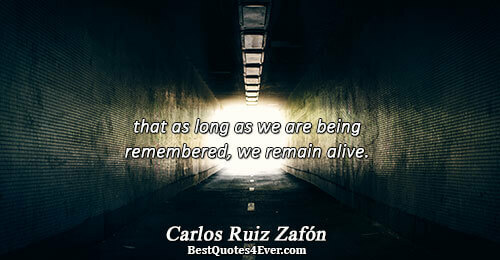 that as long as we are being remembered, we remain alive. 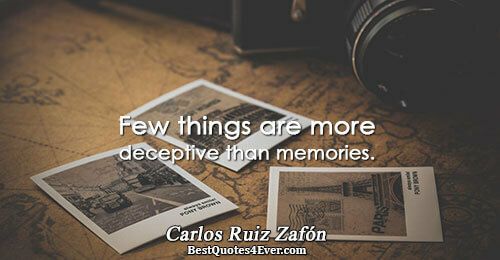 Few things are more deceptive than memories. 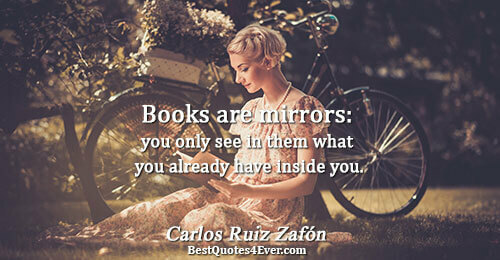 If you really want to possess a woman, you must think like her, and the first thing to do is win over her soul. The rest, that sweet, soft wrapping that steals away your senses and your virtue, is a bonus. Every work of art is aggressive, Isabella. And every artist's life is a small war or a large one, beginning with oneself and one's limitations. 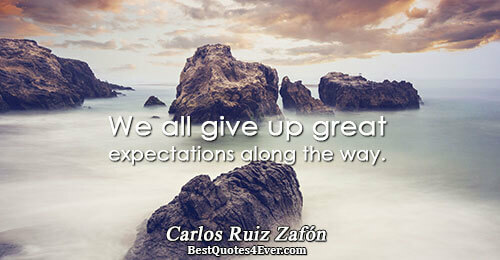 To achieve anything you must first have ambition and then talent, knowledge, and finally the opportunity. I was raised among books, making invisible friends in pages that seemed cast from dust and whose smell I carry on my hands to this day. The words with which a child's heart is poisoned, whether through malice or through ignorance, remain branded in his memory, and sooner or later they burn his soul. Jacinta never told Penelope that she loved her. The nurse knew that those who really love, love in silence, with deeds and not with words. I've always said that idleness dulls the spirit. We have to keep the brain busy, or at least the hands if we don't have a brain. 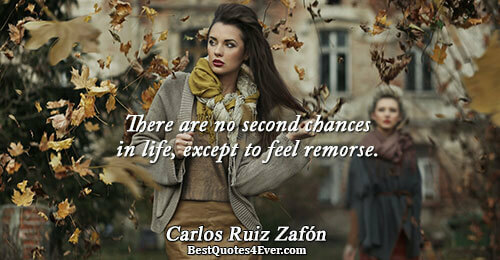 One loves truly only once in a lifetime, Julian, even if one isn’t aware of it. 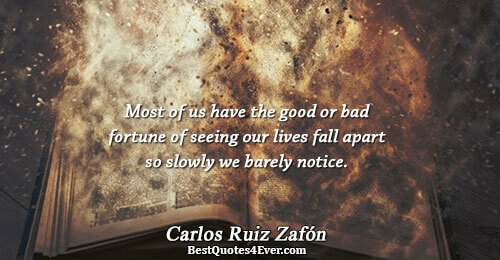 Most of us have the good or bad fortune of seeing our lives fall apart so slowly we barely notice. I'm not talking to anyone, I'm delivering a monologue. 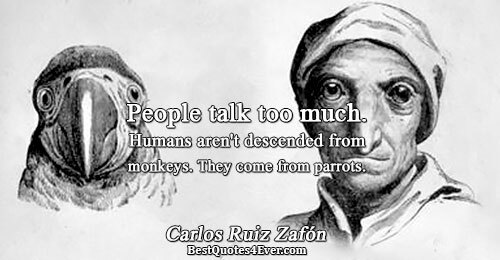 It's the inebriated man's prerogative.